The Beloved Daughter .99 Blog Tour! 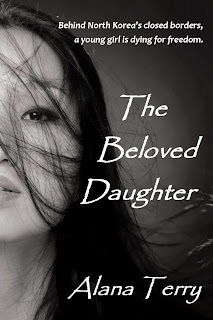 The Beloved Daughter is an inspirational suspense novel by Alana Terry, which tells the story of a young girl sent to a North Korean prison camp for her father's faith. 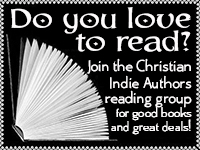 It has won awards from the Book Club Network and the Women of Faith writing contest. It is also currently one of the nominations for Book of the Year at bookfun.org. The Beloved Daughter will be on sale for just $0.99 (regularly $3.99) from the amazon kindle store from December 26-30. As a special Christmas bonus, if you are one of the first three people to comment on this blog, you can win your own free kindle copy today! And if you're feeling especially lucky, enter this giveaway for a $25 amazon gift card! SAVE BIG: Get the ebook from amazon for 99 cents when you buy before Dec. 31. If you like audiobooks, you can buy the unabridged version narrated by 4-time Audie-award winner Kathy Garver from Audible, or get it from amazon for only $1.99 after you buy the ebook (save $18). Like paperbacks? Get The Beloved Daughter for less than $12 on amazon. 2) You must fill out this quick form so Alana knows where to send your prize ebook. *All the prize copies claimed? No worries - get it from amazon for just 99 cents! So it's the time of year when the weather turns colder and a certain white stuff starts falling from the sky. As a matter of fact we are expecting some of this white stuff this weekend. Do you think if I keep calling it "white stuff" and not, you know, the real name...*snow*...that it will stay away? BUT, I can dream can't I? Now don't get me wrong, I enjoy watching snowflakes as the drift down from above. I actually find it very relaxing and peaceful. We don't all look the same, act the same, live the same, enjoy the same things. Imagine how boring life would be if EVERYONE had blonde hair and blue eyes, and was the same height and liked the same thing! Just as God created the snowflakes different, He created us different. I don't know about you, but I'm glad He did. I believe God has a special purpose for everyone. It's up to us to search for and find it. To turn from the world and seek Him in everything we do. It's up to us to see our own God given beauty and talents and seek Him to direct our paths. To embrace the life God has so generously given us. ~ Are you going to your light sparkle and shine so that the world can see Jesus? ~ Are you going to see your true beauty? ~ Are you going to love yourself? ~ And most importantly, are you going to love and live for God and accept Jesus as your Savior (if you haven't already)? If you don't know the Lord as your personal Savior but you want too, here's a prayer and scripture for you to pray. Please know that you don't have to say this prayer word for word. God wants to hear it from your heart. This is just a sample you can go by. Dear God, I come to you in the name of Jesus. I acknowledge to You that I am a sinner. I am sorry for my sins and the life that I have lived. Please forgive me Lord and cleanse me. You said in Your Word, in Romans 10:9 that if we confess the Lord our God and believe in our hearts that God raised Jesus from the dead, we shall be saved. I confess Jesus is Lord. With my heart, I believe that You God raised Jesus from the dead and I accept Jesus Christ as my personal Savior. Jesus transform my life so that I may bring glory and honor to you alone. Romans 10:9-10. "That if thou shalt confess with thy mouth the Lord Jesus, and shalt believe in thine heart that God hath raised him from the dead, thou shalt be saved. For with the heart man believeth unto righteousness; and with the mouth confession is made unto salvation." Wow, who knew you could learn something about others and yourself from a snowflake? Here's an interesting fact I thought you might like to know. I found this out in my search for weird and wacky snowflake facts today. According to Guinness World Records, the largest snowflakes on record were 15 inches in diameter and 8 inches thick. They fell on Fort Keogh, in eastern Montana on 28 January 1887.